MADD's Power of Parents program empowers parents of middle school and high school students to have ongoing, intentional conversations about the dangers and consequences of underage drinking. Research shows that young people who drink are a danger to themselves, their friends, and others. For more than 20 years, hundreds of high quality clinical studies in the United States and Europe have shown that the earlier in the life young people drink, the more frequent and severe the problems they face in the short and long term. Science shows that a child's brain works differently from an adult's brain. It is important to realize that no matter how mature young people act they are not simply small versions of adults. Young peoples' brains are still in a critical period of development well into their 20's. Alcohol interferes with both how brains and bodies grow. As a parent, you have the power to equip your child to make smarter, safer choices and to help prevent tragedies. 1. 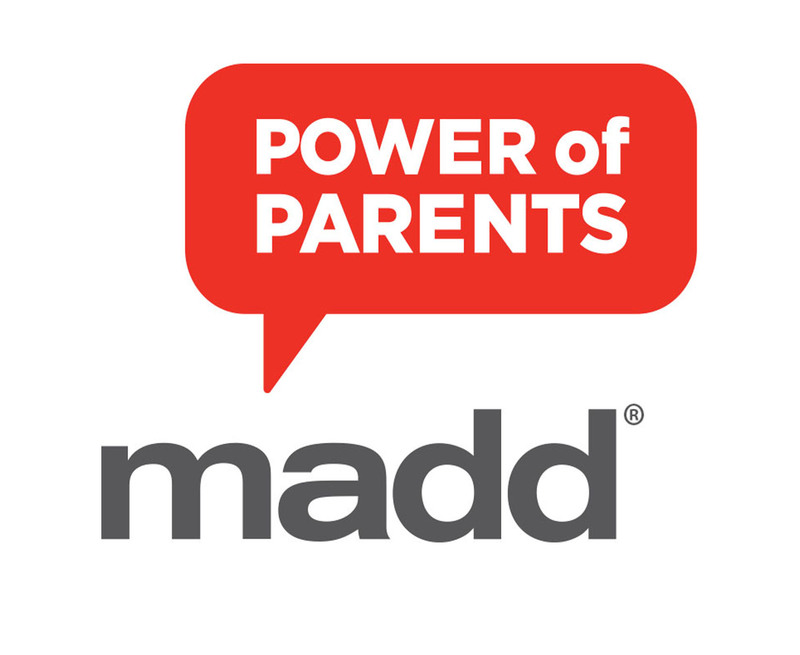 Contact your local MADD representative for more information and material on the "Power of Parents" program. 2. Plan and host the "Power of Parents" program. 1. Host "Power of Parents" at your school. 2. Take photos/video of the event.